They bring smooth comforts false, worse than true wrongs. 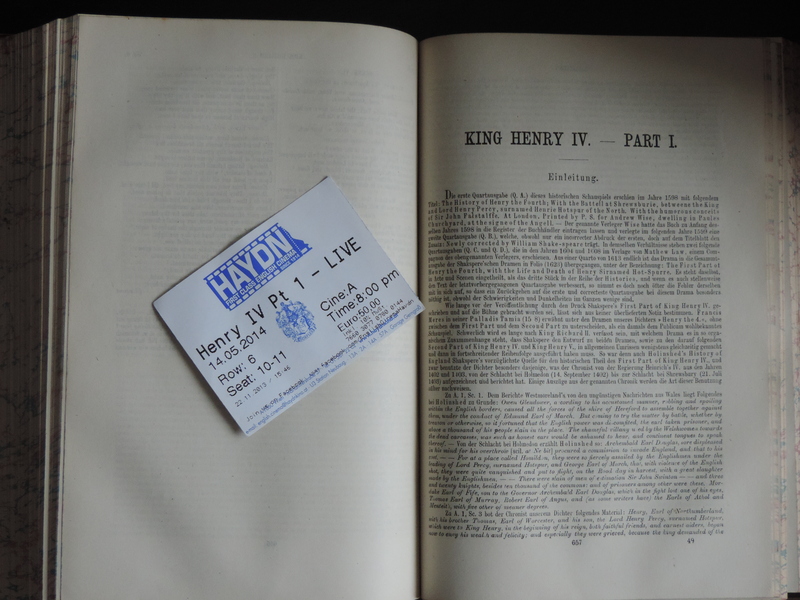 This was the second part to last month’s Henry IV Part 1 live broadcast from the RSC. It started once again with Suzy Klein interviewing Gregory Doran, who gave a short ‘previously on Henry IV’ overview followed by a quick analysis of the changing tonality and themes in the second part compared to the first. I thought the interval interview with Antony Sher was very interesting and maybe gave those in the audience who did not have access to these plays before a glimpse into how an actor approaches a new role. It also showed the drastic difference in voice and speech between the actor and his Falstaff. The play itself started with a surprise (production spoilers ahead in the following two paragraphs): Antony Byrne came onto the stage in Jeans, t-shirt, biker boots, armed with a mobile phone he promptly used to snap selfies. As much as I roll my eyes over the recent selfie-craze, this was funny and a very current and relevant beginning, fitting brilliantly with ‘rumours’. Another great moment of interweaving different settings into one scene came later in the play when Henry IV seemingly enters what we see as Mistress Quickly’s rooms where she and Doll are sleeping. What I said about the company in my review of part 1 still holds up. Almost everyone is pulling their weight, some of the actors reappearing as different characters still panting after a quick change. Unfortunately, Alex Hassel did not convince me at all that this Hal was going to become Henry V. An overtrained lat does not a king make. In fact, it makes you look as if you were constantly bowing (bear with me, I used to do this for a living, so those things still jump out at me) which is not very kingly at all. On the other end of the spectrum, Antony Bynre’s Pistol was a riot who had the audience in stitches and I thought Paola Dionisotti was a fantastic Mistress Quickly. Oliver Ford-Davies and Jim Hooper were hilarious as Shallow and Silence. 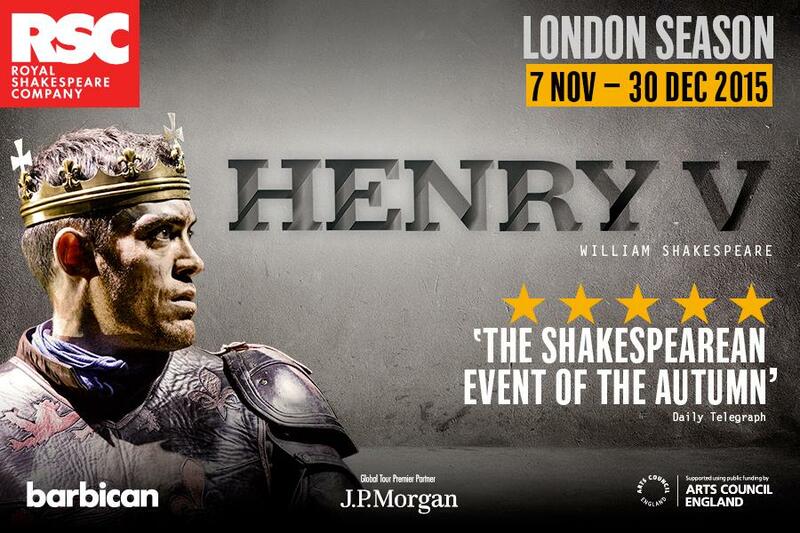 I would love to see this cast do Henry V, but with a different lead actor who can actually make me believe that there are people willing to follow him to their almost certain deaths. I could brain him with his lady’s fan. 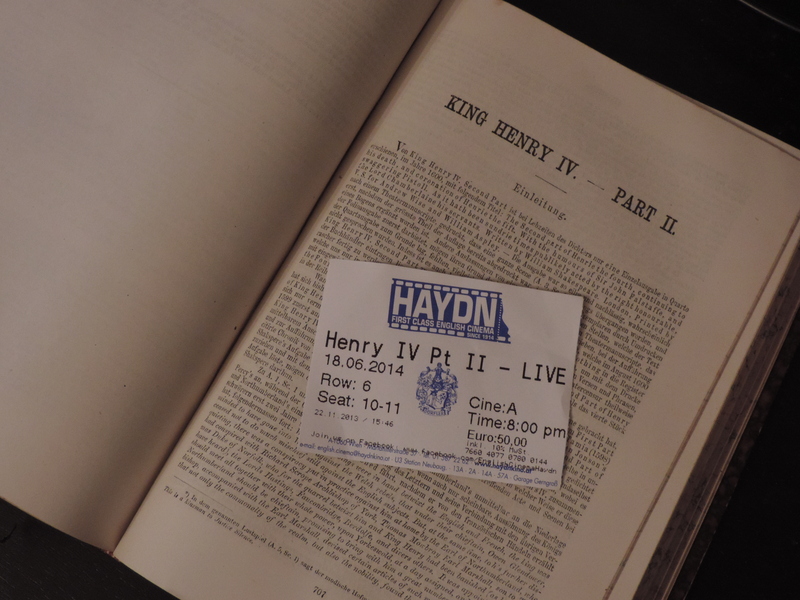 After the successful broadcast of Richard II last year, the RSC is now continuing with Henry IV (part 2 follows in June). Started off with a charming and informative interview of Gregory Doran (NTL, you might want to take notes of how these are done. Kudos to Suzy Klein.) who admitted having unsucessfully looked for his Falstaff until Ian McKellen called his attention to the fact he was actually living with him. can break the audience’s hearts if done right and at the same time show that there is a future king in hard partying Hal and he is aware that he will some day have to take responibility and cut ties with those he now calls friends. In this case, the line fell completely flat and I didn’t buy Hal’s reaction at all. That was also one of the two major issues I have with this production. While he is doing a fine job as the party prince, I can’t see this Hal ever becoming Henry V. I wouldn’t follow him across a zebra crossing at a green light on a deserted road without double checking the traffic, let alone unto the breach. Actually, I would probably have to fight the urge to yell ‘Oh, shut up!’ in a Monty Python voice before following Poins into some harebrained scheme instead of Hal into battle. I am however still giving him the chance to convince me in part 2. The second issue is unfortunately of no less importance as it is Hotspur. What should be a hot-headed, ambitious upstart, is shown as an overgrown 2 year old constantly throwing temper tantrums. Despite his penchant for biceps curls, he appeared absolutely unmanly to me to the point where they should have changed Kate’s reaction to him going to battle to being relieved of getting rid of him. I can’t imagine any grown woman wanting this child in her bed or battle-worn warriors being willing to start a revolution with him at the helm. After all this, the big surprise is the big fight between the two Henrys. Fight director Terry King gave the actors quite the task there and both absolutely rose to the occasion. The camera direction also managed to keep up with the fast paced fight very nicely. We got a glimpse of this earlier during a featurette in the interval after which I wondered even more about the decision to play Hotspur like they did, as the actor seemed to be a very bright guy in the interview. Out of the rest of the cast, Antony Byrne stood out for me. I already noticed him in Richard II, the guy does fantastic work with his voice. It probably didn’t sound like it, but I liked this production and am looking forward (and hoping for some glimpses of regal potential in Hal) to part 2 in two weeks.